“…CPE Bach’s Concerto in a, opening in typical Empfindsamer Stil with an orchestral unison, immediately challenged by contrary-motion scales and a yearning melody for the solo cello followed by a motif built on rapidly repeated notes – a typical CPE Bach mix of colours and textures. The first movement ended with the first of Poppy Walshaw’s excellent cadenzas, all kept well within the bounds and style of the piece. In the slow movement, the sound of the solo cello was allowed to grow delicately out of the orchestral texture. The skittish final movement saw the cello finally break free from its former collaborative role with a virtuoso series of flourishes. Haydn Trios for Flute, Violin and Cello, recorded in 2008 with Hajo Wienroth and Simon Standage. Review published in CONCERTO: Das Magazin für Alte Musik, Germany’s leading Early Music Magazine, February/March 2010. Le Chardon, geführt von seinem Gründer Hajo Wienroth, versteht dies glänzend und bietet alle die typisch Haydn’schen Finessen farbenreich dar. Bemerkenswert ist auch das Instrument, das Wienroth so bezaubernd bläst: die originale Klappenflöte eines anonymen Instrumentenbauers von ca. 1810. Sie besitzt einen wunderbar tragfähigen, dabei intensiven und trotzdem ausgewogenen feinen Klang, der Haydns Intentionen sicherlich wunderbar trifft. Begleitet wird Wienroth von Simon Standage, dessen ebenso engagierter wie klangschöner Violinstil geradezu ideal mit dem Ton der Flöte verschmilzt. Kongeniale Partnerin der beiden ist Poppy Walshaw auf einem englischen Violoncello von 1777, das einen eher zurückhaltenden, sehr filigranen Ton liefert. Das Klangbild der Aufnahme ist wunderbar eingefangen, nicht zu direkt, aber klar. So werden diese Haydn’schen Werke zu wahren Perlen aufpoliert und bieten einen Genuss von ganz besonderer Güte. “Purcell’s score shone under the orchestra led by Rodolfo Richter, featuring instruments from Purcell’s time including…the viola da gamba played by Poppy Walshaw. And in Dame Ann Murray’s voice, the famous final lament lost none of its power.” –The Argus, Brighton. The Italian word obbligato (from the verb obligare ‘to oblige’) in baroque classical music implies an instrumental part which is somehow indispensable to the performance, so in baroque arias it can indicate an instrument which takes on a quasi solo role equivalent to the vocal soloist, rather than accompanying. In this role, the obbligato instrument was used extensively by Bach (think of all those arias in the passions) and Handel. Last night, 20 September 2016, we heard a private performance of a recital entitled The Art of the Obbligato performed by mezzo-soprano Eleanor Minney, violinist Davina Clarke, cellist Poppy Walshaw and harpsichordist Tom Forster which explored music written by Handel and Bach, showing how these two composers used the concept of the solo instrument performing alongside the voice. From Handel we heard three of his Nine German Arias, ‘Süßer Blumen Ambraflocken’ HWV204, ‘Süße Stille, sanfte Quelle’ HWV205 and ‘Flammende Rose, Zierde der Erden’ HWV210. These are some of Handel’s few mature works setting his native German. There was a selection of arias from Bach’s cantatas, with ‘Vergnügte Ruh, beliebte Seelenlust’ BWV 170 from the cantata of that name, ‘Christi Glieder, ach bedenket’ from the cantata Bereitet die Wege, bereitet die Bahn, BWV 132, and ‘Öffne dich, mein ganzes Herze’ from the cantata Nun komm, der Heiden Heiland, BWV 61, plus the Allegro from the Sonata No. 3 for Violin and Obbligato Harpsichord, BWV 1016, ‘Erbarme dich’ from the St Matthew Passion, and the ‘Laudamus te’ from the Mass in B Minor. The four performers took it in turns to introduce the music, giving us background and creating a greater sense of communication with the audience. Most of the works we heard showed the way the composers used an obbligato violin to decorate, comment on and dialogue with the vocal line, but the aria ‘Öffne dich, mein ganzes Herze’ had no violin part and instead gave the cello a measure of independence. In the second movement of Bach’s violin sonata we heard a different type of obbligato, here Bach used the term to indicate that the harpsichord part was fully written out rather than using figured bass, and in fact Bach effectively gives us a trio sonata with the harpsichord playing two of the parts. Eleanor Minney sang with clear, plangent tones bringing a nice flexibility to the sometimes elaborate vocal lines, finely complemented by Davina Clarke’s violin playing. But what made the performances special was that the players gave us a real sense of chamber music, with a fine interaction between all four of them with each line involving in its own way yet part of a satisfying whole. And it was striking hearing the music in such an intimate setting with just four performers. Video Recordings: Recital in Hirsau, Germany, April 2015. CPE Bach Viola da Gamba and Harpsichord Sonata. 2nd movement: Larghetto. Sonata in G minor, Wq.88, transposed into E minor for performance on Baroque Cello with obbligato Harpsichord. Poppy Walshaw – cello, Pieter Dirksen – harpsichord. Francesco Geminiani Sonata op.5 no. 2 in D minor. With the Academy of Ancient Music in Seoul. Poppy Walshaw konzertiert als Solistin, Continuo – Cellistin und als Kammermusikerin. Sie spielt regelmäßig mit führenden Alte Musik Ensembles, wie English Baroque Soloists, Orchestre Révolutionnaire et Romantique, The English Concert, Academy of Ancient Music, Orchestra of the Age of Enlightenment und Arcangelo. Als Konzertsolistin trat Poppy mit Arte dei Suonatori, Fiori Musicali, den International Baroque Players und mit La Serenissima bei vielen Festivals auf. Sie ist feste Solo- und Continuo-Cellistin bei mehreren Orchestern in Europa: Oslo Baroque Orchestra, Europäisches Barockorchester Le Chardon (Deutschland), Arte dei Suonatori (Polen) und Fiori Musicali (GB). Sie hat mehrfach als Continuo – Cellistin bei den English Baroque Soloists (Sir John Eliot Gardiner), u.a. in New York und beim HRH Prince of Wales gespielt, ebenso wie bei The English Concert, dem Orchestra of the Age of Enlightenment, dem St James’ Baroque, der Early Opera Company, Les Ambassadeurs, der Classical Opera Company und dem EUBO. Poppy Walshaw ist Mitglied des Fortepiano-Trios „The Music Collection” (Simon Standage und Susan Alexander-Max), mit dem sie kürzlich für das Label Chandos Schuberts Forellenquintett aufnahm. Verschiedene CDs, u.a. mit dem Collegium Musicum 90, The English Concert, der Early Opera Company, dem Europäischen Barockorchester Le Chardon, und dem Gabrieli Consort and Players, sowie mit Arte dei Suonatori belegen ihr Schaffen als eine der führenden Interpretinnen im Bereich der historischen Aufführungspraxis ihrer Generation. Video of concert performance as continuo cellist with Polish orchestra Arte dei Suonatori. Copenhagen, June 2016. English Baroque Soloists, John Eliot Gardiner. Live broadcast on French TV. Versailles Chapelle Royale, 22nd June 2014. Simon Standage, Peter Collyer, Poppy Walshaw, Elizabeth Bradley, & Susan Alexander-Max. Handel Opus 6 Concerti Grossi. Arte dei Suonatori and Martin Gester. BIS (2007). CPE Bach Flute concerti. Alexis Kossenko and Arte dei Suonatori. Alpha (2008). Haydn Trios: Simon Standage (violin), Hajo Wienroth (keyed flute) and Poppy Walshaw (cello). 2008.
http://www.wienroth.net/english/Samples/samples.html (to buy in UK, contact me directly). 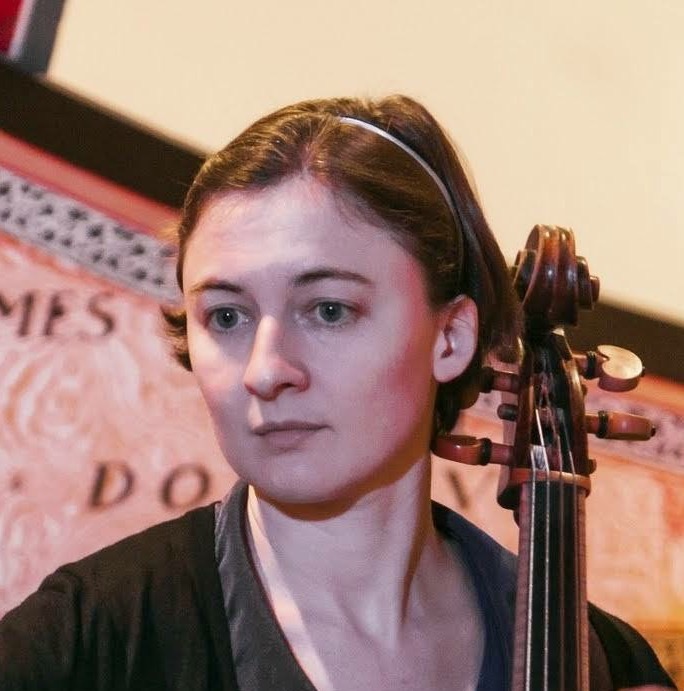 Cellist Poppy Walshaw is active as a soloist, chamber musician, and continuo player on period and modern instruments. She works regularly with leading Early Music orchestras such as the English Baroque Soloists, Orchestre Révolutionnaire et Romantique, The English Concert, Academy of Ancient Music, Orchestra of the Age of Enlightenment, Dunedin Consort and Arcangelo. Poppy read Music and Natural Sciences at Cambridge University then studied with Alexander Baillie in Bremen, Germany, gaining her postgraduate diploma with the highest possible mark. She was subsequently a Continuo Scholar at the Guildhall School of Music and Drama with Alison McGillivray and Louise Hopkins. She now works throughout Europe and is in demand as a soloist, with recent and forthcoming recitals in Holland and Germany. Solo concerto performances this year have included at St John’s Smith Square in London, touring Poland with Arte dei Suonatori, and at several festivals with Fiori Musicali, playing Monn, CPE Bach and Vivaldi. Poppy has performed as continuo cellist of the English Baroque Soloists for Sir John Eliot Gardiner on several occasions, including at the Metropolitan Museum in New York and to HRH Prince Charles, the latter with the Monteverdi Choir and also performing a solo sonata. 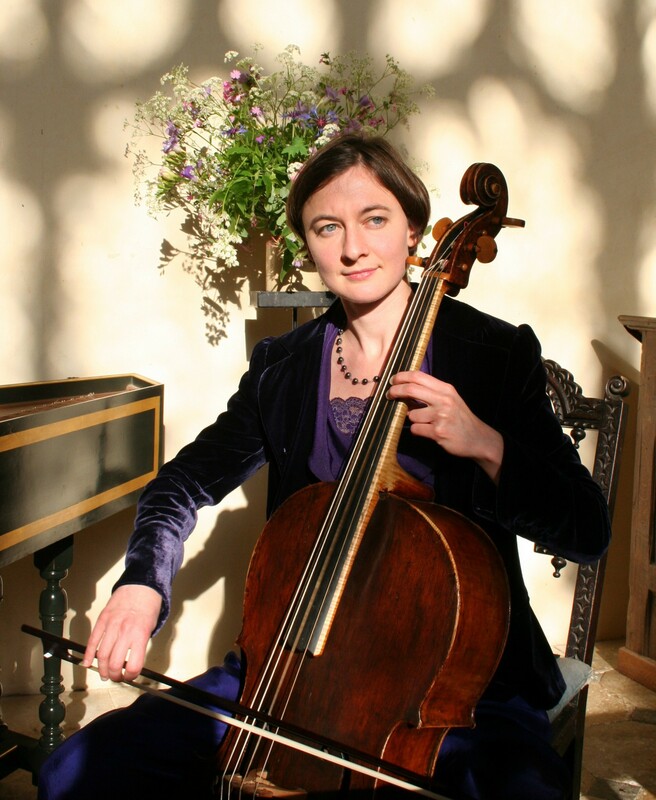 She has been principal cellist of St James’ Baroque Players in Westminster Abbey for many high-profile events, notably the main Handel Death day and Purcell anniversary concerts in 2009, broadcast Europe-wide by BBC Radio 3. Currently she is continuo cellist for several orchestras throughout Europe: Oslo Baroque Orchestra, Arte dei Suonatori, Fiori Musicali, and Le Chardon (Germany, concertmaster Simon Standage/Pauline Nobes). Her other continuo activities have included for the English Concert, Orchestra of the Age of Enlightenment, Early Opera Company, Irish Baroque Orchestra, Classical Opera Company, Les Ambassadeurs, and European Union Baroque Orchestra. Poppy regularly collaborates with renowned violinist Simon Standage in several chamber ensembles: as a member of fortepiano trio The Music Collection, for Collegium Musicum 90, and for recordings of Viotti quartets, Haydn trios, and most recently Hummel and Schubert Trout quintets for Chandos. Her many orchestral CD recordings include with The English Concert, Orchestre Révolutionnaire et Romantique, Early Opera Company, Gabrieli Consort and Players, and Arte dei Suonatori. Performances on the viola da gamba include at the National Theatre for Jonathan Miller’s production of the Matthew Passion, and as a soloist for Brandenburg concertos with the Academy of Ancient Music in China and Australia. Poppy is also an Alexander Technique teacher, qualified by STAT in 2012, and is an assistant Alexander teacher at the Royal College of Music and Arts Ed drama school.